Meet this year’s recipients of the Principal’s Awards for Administrative and Support Staff, which recognizes exceptional performance by individuals and teams. 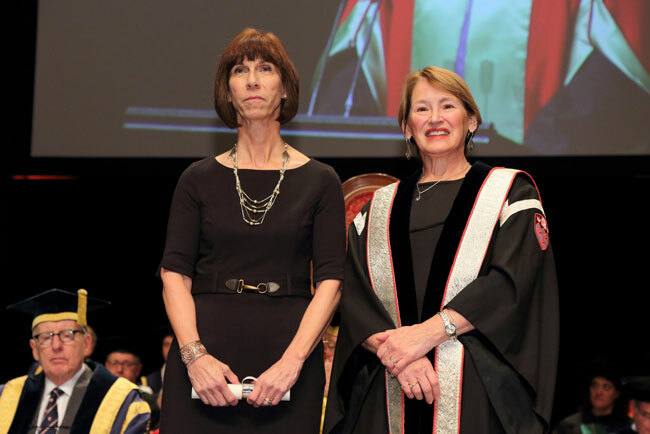 Last week, when Principal Suzanne Fortier addressed the audience gathered in Salle Wilfrid Pelletier at Place des Arts, she described convocation as a “sign of loyalty” – loyalty to classmates and family, of course, but also to University staff. “They, too, have been rooting for you from your very first day,” she told McGill’s newest graduating class. Frank Caporuscio (pictured above) has twin passions: cycling and work. “If I’m not at work, all I think about is cycling,” says the 38-year McGill veteran. Caporuscio was a civil engineering student at Dawson College when he landed a co-op placement at McGill’s Geotechnical Research Centre. That was 1979, and he never left McGill. “I’ve always been interested in lab work and putting things together,” he says, “so it was a good match.” In 1996, Caporuscio transferred to the Department of Chemical Engineering, where he’s responsible for setting up and maintaining laboratories for generations of undergraduate and graduate students. But there’s more to Khan than just his encyclopedic accounts payable knowledge and careful attention to detail. 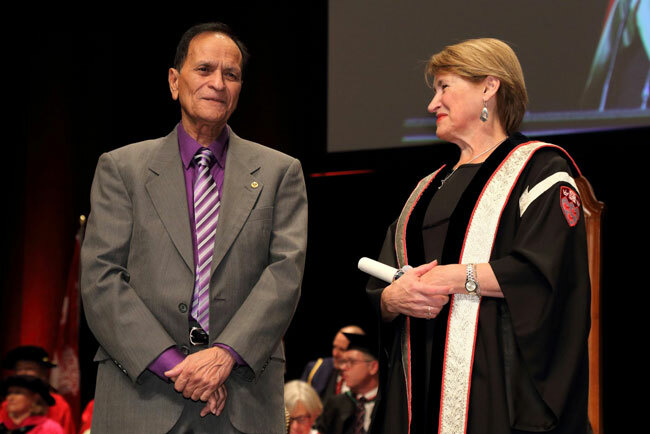 He is also highly respected for his extensive community service, and his unwavering drive to “positively influence the McGill workplace” and the community at large – efforts that earned him the Queen Elizabeth II Diamond Jubilee Medal in 2012. Some people live and breathe McGill – and perhaps no one more than Pascal Pilotte. Literally. As a building operator with Facilities Management & Ancillary Services since 2004, Pilotte is one of the people responsible for making sure that McGill’s heating, ventilation and air conditioning (HVAC) system is in top form. It’s hard to concentrate on work or studies when you’re sweltering (or freezing) – and careful environmental control is essential for many research labs – so Pilotte strives to ensure that the air inside McGill’s buildings is clean, and the right temperature and humidity. Building directors love working with him because of his great care for their needs, and those of their occupants, and the flexibility he shows when dealing with the specific characteristics of each building. “He works diligently to provide the most comfortable physical environment for staff and students,” said Professor Yalovsky. 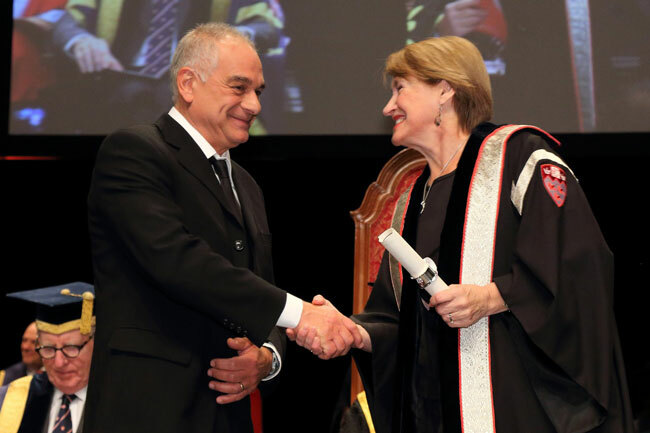 He also praised Pilotte’s leadership abilities, and ability to motivate a team – qualities most recently seen when Pilotte stepped up to fill in after his supervisor fell ill.
“Students need to know themselves so they can make decisions for the future,” she says. “What are my strengths? What are my weaknesses? What are my values?” She knows those are tough questions, because she’s had to ask them of herself. In the late ‘90s, Stace was excelling at a job that she didn’t like. At a friend’s suggestion, Stace took a leave of absence so she could test-drive a position in McGill Career Planning Service (CaPS). After a week, she resigned from her old job. In early 2015, three employees in the Pensions and Benefits unit of Human Resources– Amele Djeridi, Karen Rasinger and Sharron Smith – attended a LEAN workshop. LEAN is a process for streamlining and improving efficiency of work processes. There, they met Charles Wan, a programmer from Financial Services. The four began to talk about how each employee group has different rules and regulations for leaves of absence – and how those differences made requests cumbersome to process. They brainstormed ways to make the process more accurate and efficient. By early spring, they’d begun an extensive process of review, analysis, consultation and testing for a new application that uses employee information to automatically produce all the required correspondence for a leave – dramatically reducing the amount of manual data entry – and also provides tracking and monitoring functions. 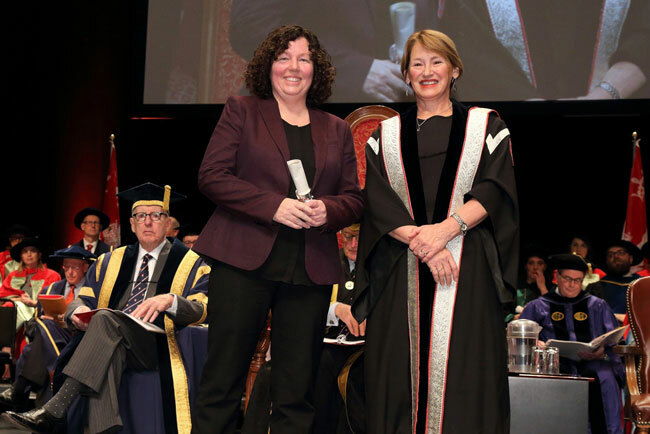 The annual Principal’s Awards for Administrative and Support Staff is a university-wide program that recognizes outstanding contributions to the McGill community. The individual recipients, or team, each receive $5,000. 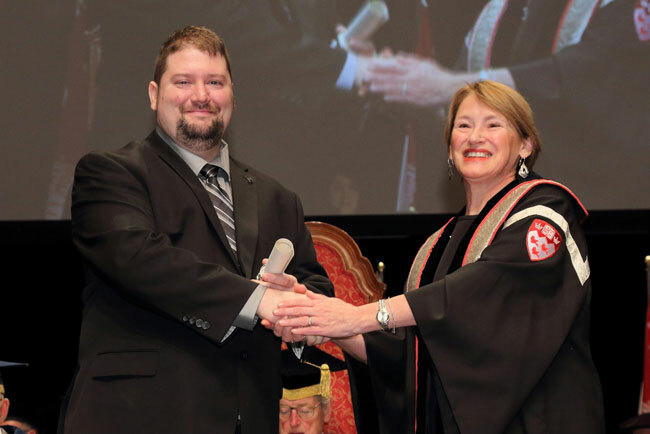 Nominations for the 2017 awards, to be handed out at next fall’s convocation, will open in June. If you would like to acknowledge the exceptional performance of a peer by nominating them for a 2017 Principal’s Award, the application guidelines will soon be available here.